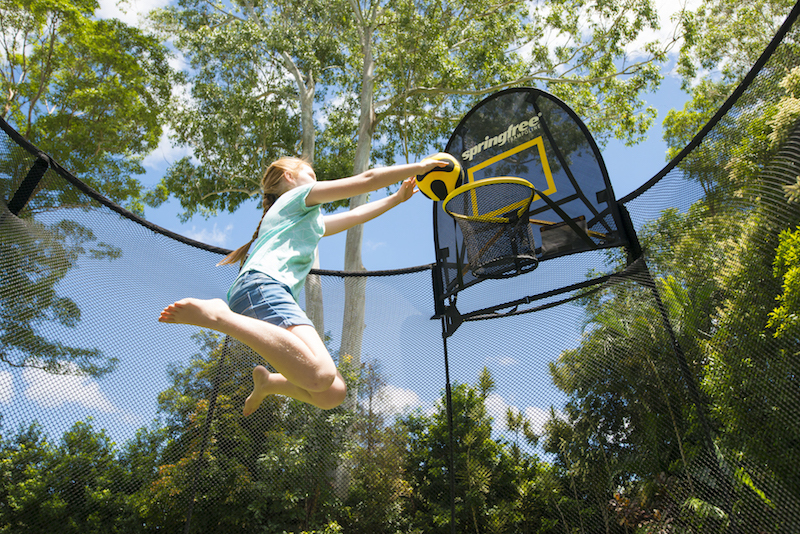 The FlexrHoop adds a whole new element of fun to the trampoline. 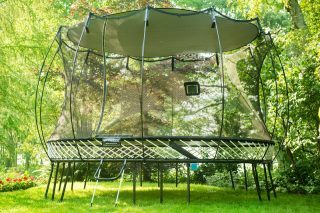 It’s built with the same materials and design concepts as our trampoline so no hard surfaces are added to the jumping area. 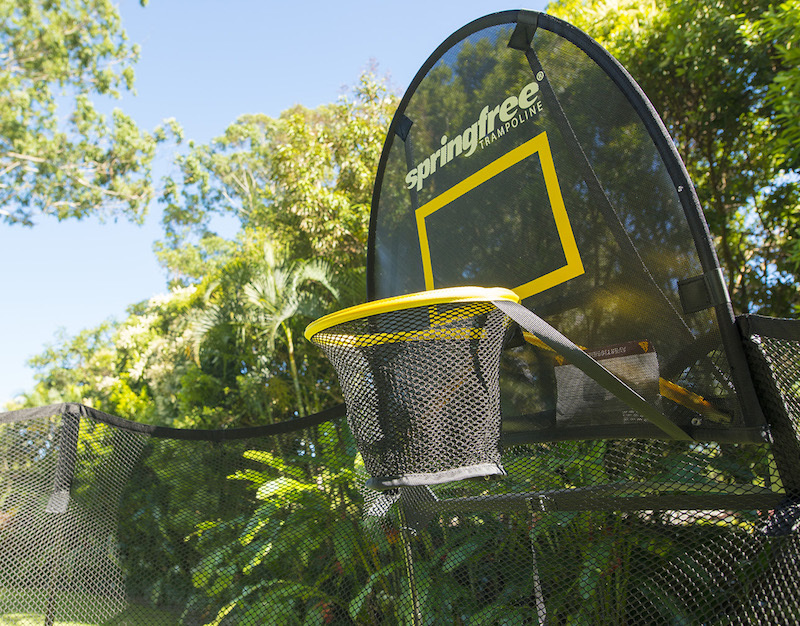 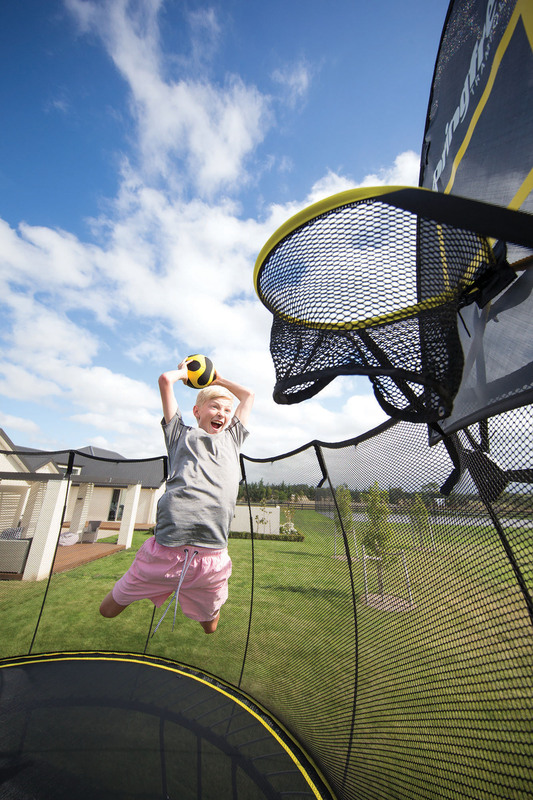 Great for kids (and adults) who want to practice their slam dunks.